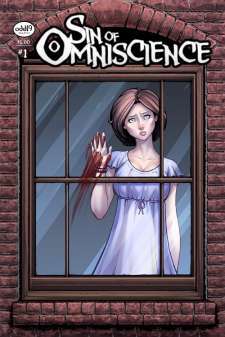 Sin of Omniscience Issue 1 available on Indyplanet! It is with great pride and no small helping of pure joy that we present to you Odd19's first publication, Sin of Omniscience Issue #1 available for purchase online at IndyPlanet.com! If you'd like a signed copy, you can come see us at Megacon in Orlando next week: we'll be at booth Purple 17. If you'd like to special order a copy to be shipped to you signed, just send us a letter at info@odd19.com and we'll get back to you. It has been a very long road, fraught with twists, turns, and more than one set of roadblocks, but we've finally accomplished something we'd only dreamed was possible. We can't offer enough of our appreciation for everything that everyone has done to support us, and we hope you continue to follow us as we reach for our dreams. This series is a very important one for us, and we hope that the underlying messages in it will help some other people who are just a little Odd to live a healthy, happy, and productive life.